It’s the reader’s second look into your book after the cover. It is as important as the first sentence of the book. I also added a collection to the first three books so that readers can acquire the first three books at a much lower price. OMG [Oh My God], Book #1 of the CUL8R Time Travel Mystery/Romance series. Change the past, Save the future. Three high school friends are able to do two things no one else on the planet can do . . . talk with dead people and time travel to the past. For Kelly, it’s a major adjustment to move from the only life she has ever known in Texas to live with her aunt in Ft. Myers Beach, Florida. She quickly makes friends with her quirky next door neighbor, Scott and his best friend, Austin. In her aunt’s garage, they find a long-lost invention of Thomas Edison called “The Telephone to the Dead”. Edison had abandoned the project and given it to Kelly’s great-great-grandfather. 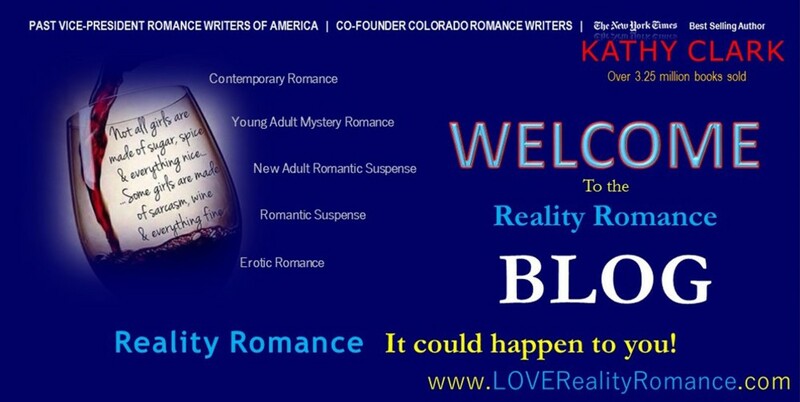 BRB [Be Right Back], Book #2 of the CUL8R Time Travel Mystery/Romance series. Change the past, Save the future. Four high school friends are able to do two things no one else on the planet can do . . . talk with dead people and time travel to the past. It’s early summer and boredom is setting in. They have just returned from an adventure where they travelled through time back to 1966 to solve a mystery and save a popular high school girl’s life. Kelly, Scott, Austin and Zoey gather in Scott’s lab, listening to the old radio that Thomas Edison had invented and called “The Telephone to the Dead”. As they slowly turn the dial they hear hundreds of sad, lonely voices of souls that have passed but apparently never moved on, pleading for help. When they first discovered the radio in Kelly’s aunt’s garage, they had been touched by the cries and pleas coming from its speakers, but they had no way to go back in time to help them. That is, until Scott reveals an invention of his own . . . a time travel app. They’ve tested it only once, but that first trip had been successful . . . if you ignore the fact that Zoey and Kelly had almost gotten killed by a serial killer. Even though they returned with a few scrapes and bruises, they are eager to go on a new adventure and help solve another mystery. A very young girl speaking in Spanish cries out to them, saying her whole family has been murdered on an island just off the east coast of Florida. Kelly understands a little Spanish, so she is able to communicate with the girl, but not able to get some very important details. It’s difficult to investigate a crime that hasn’t happened yet. BRB – Finalist in the 2013 Reader’s Favorite Awards. BION [Believe It Or Not], Book #3 of the CUL8R Time Travel Mystery/Romance series. Change the past, Save the future. Four high school friends are able to do two things no one else on the planet can do . . . talk with dead people and time travel to the past. However, Kelly, who lost her phone during their last adventure, is temporarily grounded. She worries that her new friends will time travel without her, leaving her all alone in her new home in Ft. Myers Beach, Florida. But they surprise her on her birthday and soon they are back in Scott’s lab, listening to the old radio that Thomas Edison had invented and called “The Telephone to the Dead”. As they slowly turn the dial Kelly, Scott, Austin and Zoey hear hundreds of sad, lonely voices of souls that have passed but apparently never moved on, pleading for help. When they first discovered the radio in Kelly’s aunt’s garage, they had been touched by the cries and pleas coming from its speakers, but they had no way to go back in time to help them. That is, until Scott reveals an invention of his own . . . a time travel app. They’ve already tested it twice, with both trips being very successful, but not without danger. Even though they returned with a few scrapes and bruises, and even a gunshot wound, they are eager to go on a new adventure and help solve a mystery. A young woman’s voice comes through and asks them to find her twin brother, Jesse, who had run away to the circus in 1927, then disappeared and was never heard from again. Going back and living with a circus sounds like fun. Plus an old book written by his sister provides a glimpse into the past . . . as well as a photo of Jesse. And here is how the revised blurb on the first collection came out. 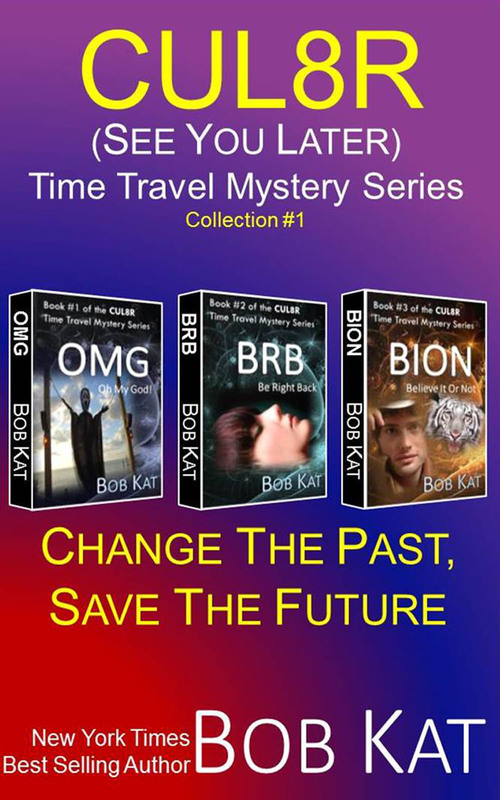 CUL8R [See You Later] Time Travel Mystery/Romance Series Collection #1 Change the past, Save the future. 3 complete, unabridged novels are included in this collection about four high school friends who are able to do two things no one else on the planet can do…talk with dead people and time travel to the past. OMG [Oh My God], Book #1 of the CUL8R Time Travel Mystery/Romance series. Winner of the Best Indie Book of 2013 for Young Adults and Finalist in the 2013 Beverly Hills Book Awards. Kelly has just moved in with her aunt in Ft. Myers Beach, Florida. She quickly makes friends with her next door neighbors Scott and Austin. They find a long-lost invention of Thomas Edison called “The Telephone to the Dead” through which they can hear hundreds of sad, lonely voices of souls that have passed but apparently never moved on. A teenage girl named Wendy begs for their help. They find out that she had gone to their own high school…47 years ago. She had been a popular cheerleader who had apparently committed suicide. They want to help, but they have no way to travel back in time. That is, until Scott reveals an invention of his own…a time travel app. Although they are skeptical, they meet on the beach. At the last moment, a fourth person runs forward and is pulled into their time travel adventure back to 1966 where they discover the secret to Wendy’s death is not as clear-cut as it would seem. A romance gone wrong, an overly-attentive teacher and a young girl’s dreams for the future are all twisted into a mystery that causes the teens to take greater risks than they could have imagined. Suddenly, their own lives are in danger and they realize they may never make it back to the present. BRB [Be Right Back], Book #2 of the CUL8R Time Travel Mystery/Romance series. Finalist in the Reader’s Favorite Awards of 2013. A very young girl speaking in Spanish cries out to them, saying her whole family has been murdered on an island just off the east coast of Florida. They look the island up on Google Maps and see that it is completely deserted. The teens decide to pop in, spend a nice day on the beach, check out the island to see if there is any truth to the girl’s story, then pop right back. It sounds like a great plan. From the very beginning, things go wrong. After swimming for their lives, they collapse on the beach that is, indeed, beautiful. But it isn’t deserted. They find the little girl, her family and a half dozen more people living in a sprawling Florida-style home owned by a menacing man named Manuel. He gives them no opportunity to escape and insists that they stay in the house. What they discover during their visit is enough to almost get them all killed. As they struggle to survive, Kelly tries to ignore her attraction to Austin, who clearly isn’t interested in a romance. How could she have such strong feelings for two boys? Then people start dying and all they can think about is saving the families and themselves. Are they destined to be a madman’s latest victims? Their time travel adventure to a tropical paradise may turn out to be their last. 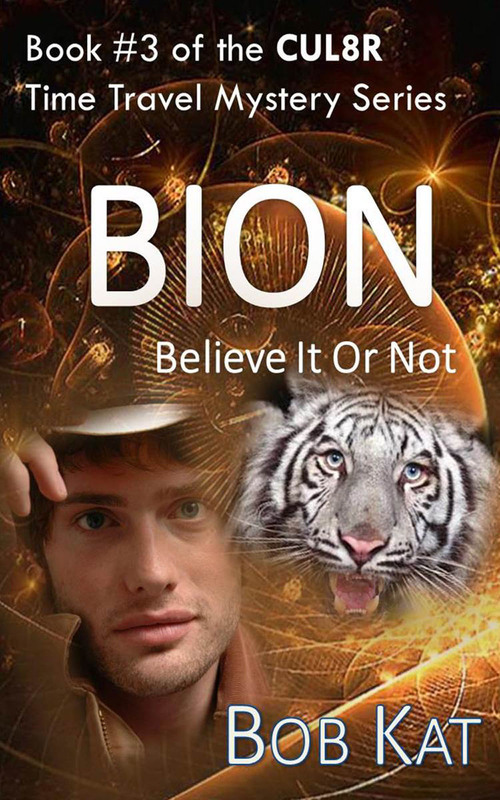 BION [Believe It Or Not], Book #3 of the CUL8R Time Travel Mystery/Romance series. A young woman’s voice comes through and asks them to find her twin brother, Jesse, who had run away to the circus in 1927, then disappeared and was never heard from again. It doesn’t take them long to discover that circus life is not all glamour and fun; it’s a lot of hard work. They jump in and quickly find jobs. But most importantly, they find Jesse. Now all they have to do is keep him alive. For Zoey and Jesse, it’s love at first sight. Should they be successful and save his life, will Zoey be able to let him go? Is it possible for him to come to 2013 with her? Is it possible for her to stay in 1927 with him? Ultimately, can she give up everything she has in the present for true love in the past? Change The Past, Save The Future…now it cost less! That sums up the first three books in the see you later CUL8R Time Travel Mystery Series. The series continues to garner first place and finalists awards from many of the world’s book competitions and over 95% of the people who have left reviews gave the book a 5 STAR rating out of 5. Here’s the cover followed by each book’s blurb. WINNER OF BEST INDIE BOOK OF 2013! Finalist in the 2013 Beverly Hills Book Awards! This is book #1 of the series. Book #2, BRB published in April, 2013. Kelly, a teenager from Texas has recently been orphaned and sent to live in Florida with her aunt Jane, a busy lawyer. Right away Kelly meets her tall, nerdy neighbor Scott, and they bond over a shared love of a video games and a mysterious gadget they find in Aunt Jane’s garage. The gadget turns out to be a lost invention of Thomas Edison’s called the “Telephone to the Dead”. The mystery begins when Scott gets the Spirit Radio to work and a girl named Wendy comes through, pleading for help . . . from beyond the grave. Is Wendy a ghost? And if she didn’t kill herself, who did? Kelly, Scott and his best friend Austin must find a way to go back to 1966 to help her . . . without getting killed. Kelly, Scott, Austin and Zoey have just returned from changing a girl’s life in 1966 and are a little battered and bruised from their adventure. But when a small voice pleads for their help to save her family from a murderer, they know they must respond. They research the story, but there is very little information to be found. All they know is that it takes place on Crystal Key, a small private island off the Florida Keys. Since it appears to be deserted, they decide to pop in, gather clues, then pop back. It was a good excuse to spend a lazy day on a beautiful beach. But from the first step, their journey back to 1980 goes horribly wrong. The area is crawling with drug traffickers and tens of thousands of refugees fleeing Cuba. They meet the young girl and her family, but their intervention puts them in the direct path of the killer. Can they find out who he is in time to save the girl, her family . . . and themselves? Or are they destined to be a madman’s latest victims? Can she give up everything she has in the present for true love in the past? Four high school friends are able to do two things no one else on the planet can do . . . talk with dead people and time travel to that past. As they slowly turn the dial of their Spirit Radio Kelly, Scott, Austin and Zoey hear hundreds of sad, lonely voices of souls that have passed but apparently never moved on, pleading for help. A young woman asks them to find her twin brother Jesse who had run away to the circus in 1927, then disappeared and was never heard from again. Going back and living with a circus sounds like fun. Plus an old book provides a glimpse into the past . . . as well as a photo of Jesse. They discover that circus life is not all glamour and fun; it’s a lot of hard work. As usual, they jump in and quickly find jobs, places to sleep and new friends. But most importantly, they find Jesse. Now all they have to do is keep him alive. For Zoey, it’s love at first sight. If they are successful and save his life, will she be able to let him go?